Asymmetric is not symmetry. Asymmetric is imbalanced: more of one, less of the other. What is Risk Management? Risk Management, as I define it, uses tactics and systems to make decisions actively to decrease or increase exposure to the potential for loss. 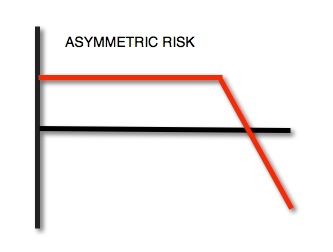 Asymmetric Risk Management means to manage risk with the objective of a positive asymmetrical risk/reward. 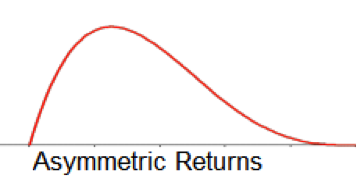 Asymmetric Risk Management intends to cut losses short and let profits run.